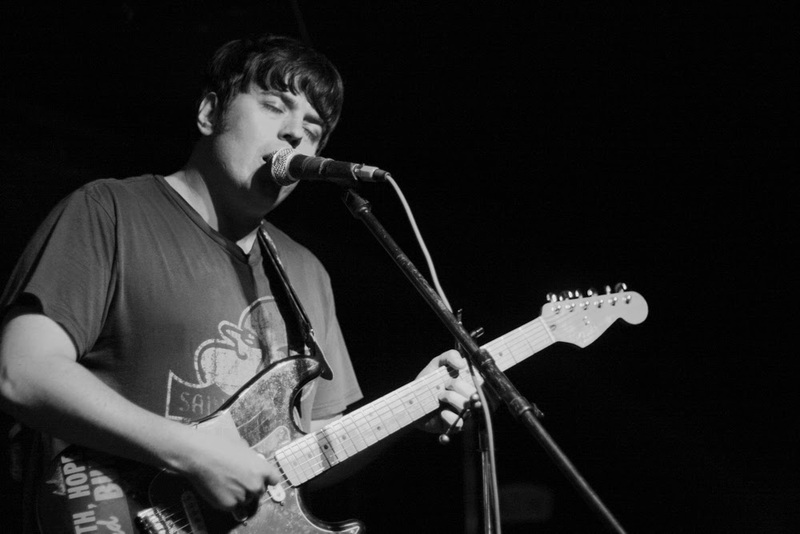 Market Square Number six comes in the form of 'dream-laden' outsider pop by Mississippi based singer-songwriter Talbot Adams. The Green Girl b/w I Love You So 45, features two great lo-fi indie-pop tracks from Talbot Adams, Talbot lives in Oxford, Mississippi however has had quite a chartered music career, he is a well-known name on the Memphis punk scene as well as being in bands such as The Black and Whites, The Royal Pendletons and KBD styled punkers The Dutch Masters amongst others.... however this 45 - Talbot's third solo single under his own name. Green Girl b/w I Love You So, showcases some of Talbot's more gentler songs and Market Square are exceptionally proud and pleased to be working with Talbot Adams. Green Girl, begins with a simple drum-pattern which recounts 60s girl groups like the Ronnettes, Talbot's vocal enters singing lyrics about lost-love, a meandering bass-line flows through the song, with acoustic jangle and a Moog synth glide effortlessly underneath, Green Girl is an understated pop-song, creating a great stoned-summer vibe. I Love You So, the flip, is even more dreamy and chilled... pretty much picking-up where the A-side left off, this track is almost indie-pop and has a real trippy Paisley Underground feel yet at the same time, it sounds like a slow-motion doo-wop song, this is where Talbot is great, he writes songs which you can't quite work out, it sounds modern, it sounds old, all in all, that is a great skill which Talbot has as a songwriter, regardless of styles, these tracks are cool and the 45 as a whole, is a real nice listening experience.... As mentioned above, ideal for a stoned Indian summer gazing into the eyes of a loved one. 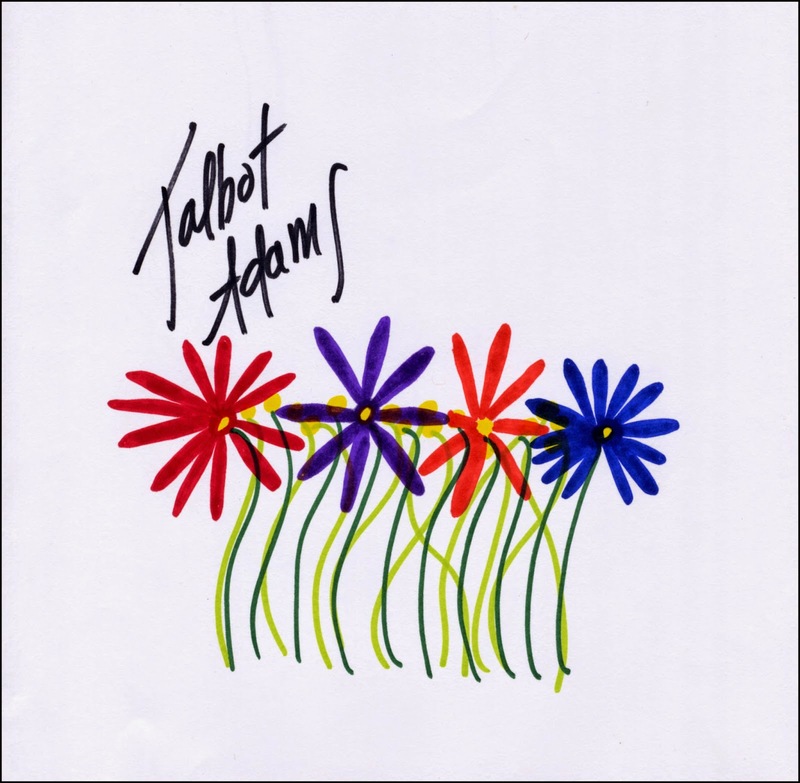 Limited to 300 copies only, housed in a pic-sleeve featuring a hand-drawn picture by Talbot himself..... buy it now!!! Available to purchase via www.marketsquarerecordings.bandcamp.com plus numerous outlets worldwide, email me to find out if the 45 is near to where you live. Also... check out Talbot's other 45s and LP via www.talbotadams.com, Talbot will be selling copies of this 45 at his shows, so go and show support to both him as a musician and the label, buy picking up the 45 direct from him.